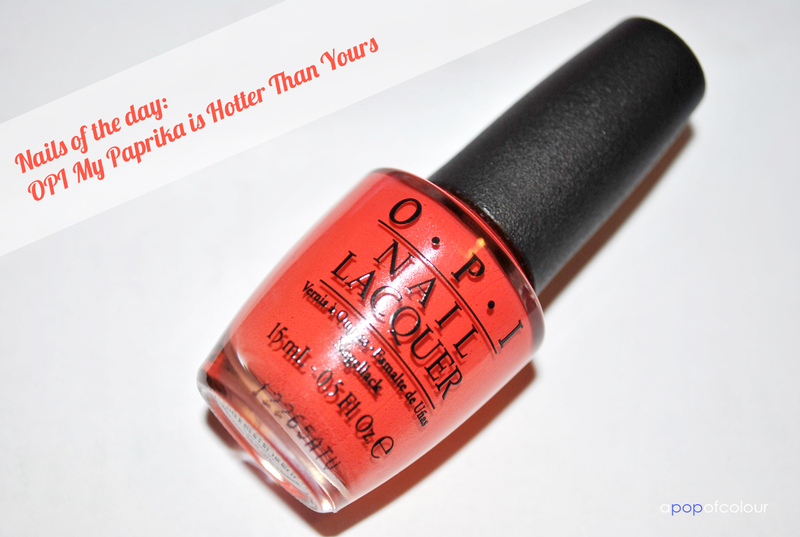 When I first laid eyes on OPI’s My Paprika is Hotter Than Yours, I thought “great, another tomato red”. Well, my friends, this shade is one of those special ones that look way better on than in the bottle. I chose to try this one last because it was the least impressive to me from all the ones I received from the Euro Centrale collection for spring/summer 2013. 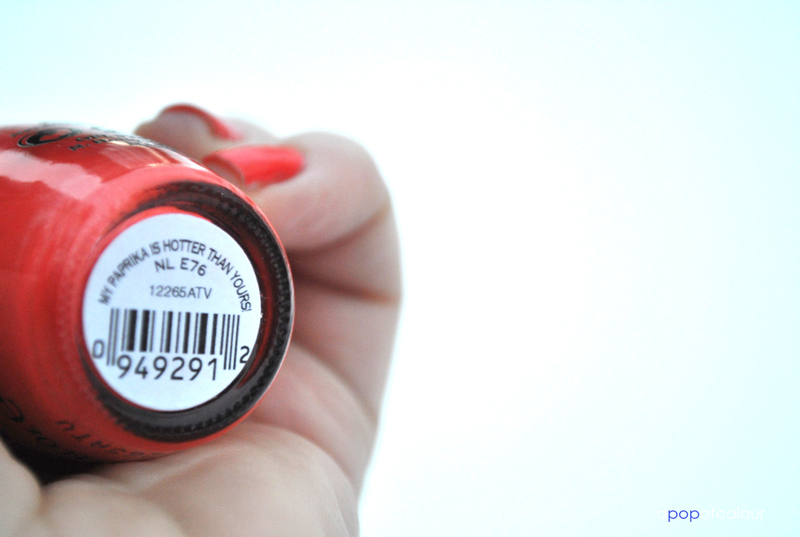 In the bottle, it reminded me greatly of Essie’s Snap Happy, however, when painted on, it leans more towards orange than red. This colour was a bit hard to photograph, because it shows up more red in the photos, but trust me, this shade is unlike anything I have. I usually find with orange-red colours, they tend to gravitate more towards the red side, however, with this one, it’s such a stunning colour that tends to be a bit more orange. I used OPI Nail Envy as my base coat with Poshe on top. I only needed two coats to make my mani opaque. As with all these OPI shades, the colour lasted quite a while before it started to chip. 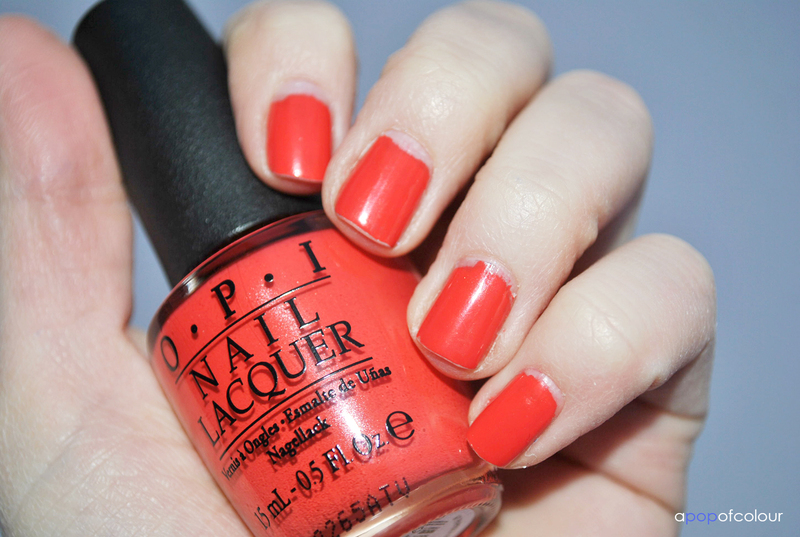 With OPI, I have noticed that the colour looks way better on than it does in the bottle. I wouldn’t have picked this colour up if I was just looking at it in the store, however, it’s such a stunner; perfect for the spring. Is My Paprika Hotter Than Yours on your wish list? Leave me a comment below! Please note, I was sent these products from the company that handles PR for OPI in Canada. All opinions are my own.